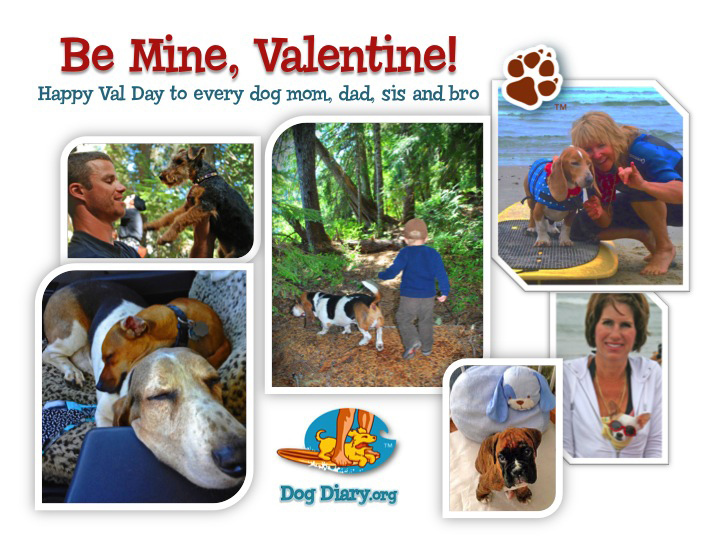 Happy Valentine's Day to dogs and dog people. We love you guys! and our dog friends and their friends. And one kitty, our sister Tia, whose always in the background trying to get into the picture.